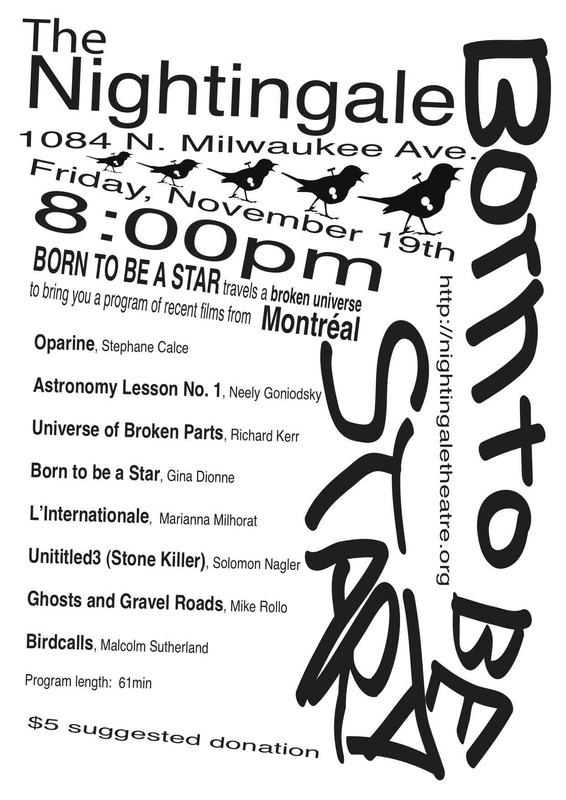 BORN TO BE A STAR travels a broken universe to bring you a program of recent works from Montréal. From 16mm film to hand-drawn animations, this program introduces the breadth of both new and established talent emerging from the home of the Mel Hoppenheim School of Cinema, Double Negative Collective, and a wide array of public support for the arts. From photograph as epitaph in Mike Rollo’s stunning ode to Saskatchewan ghost towns in Ghosts and Gravel Roads to gesture as poetics in Richard Kerr’s Universe of Broken Parts, these films index and honour a few stars.